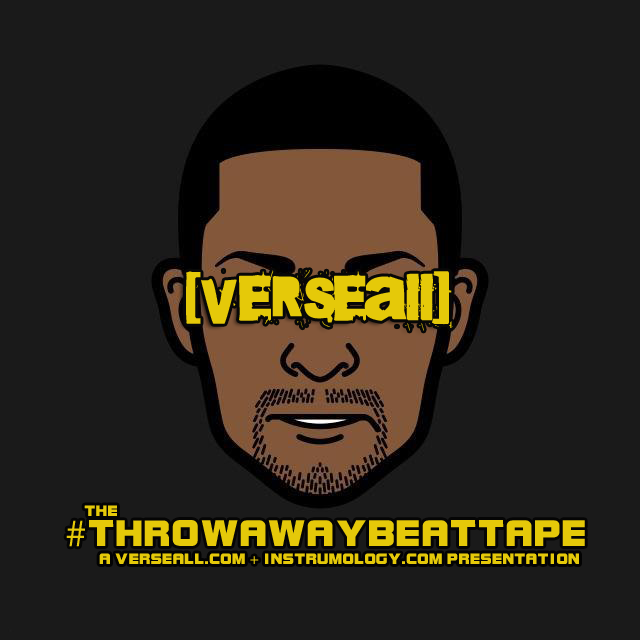 VerseAll has put together a 10 track instrumental beat tape entitled “#TheThrowAwayBeatTape” set to be released tomorow, 9/29/2014, exclusively through VerseAll.com. The purpose for this project is to introduce recording artist and music lovers to the VerseAll sound. This project is also free to download at verseall.com and all recording artist have permission to use these tracks for their future projects. Also be on the lookout for “Crossing Borders” set to be released later in the year. Checkout the two tracks below off of the #ThrowAwayBeatTape and also go to VerseAll.com to download the entire 10 track project. Hip-Hop Producer and Instrumology.com blogger VerseAll, has been hard at work finishing up a series of music projects set to be released starting this summer. 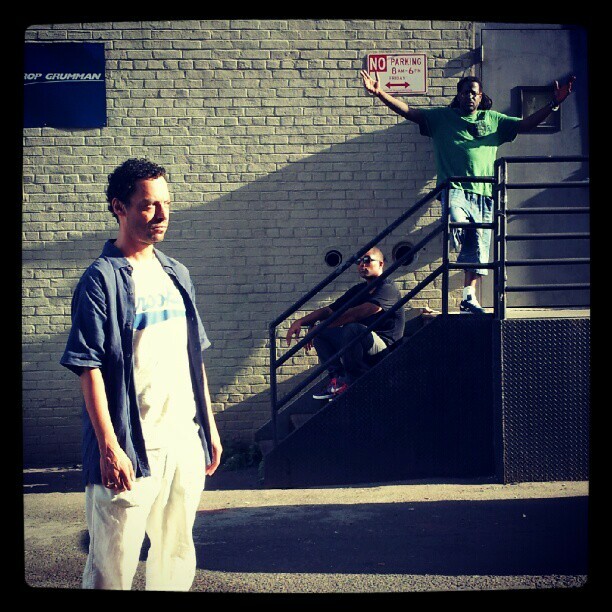 Of the four released instrumental LP’s, VerseAll has began to drop a free Beat Tape entitled #TheThrowAway. This free beat tape can be downloaded for limited time only at audiomack.com and very soon will be available at VerseAll.com. #TheThrowAway will consist of 8 unreleased instrumentals, and remixes. Following in the series of new releases will be Crossing Borders, a 14 track instrumental LP set to be released on iTunes, GooglePlay for Android devices, & etc. Here (Hear) at instrumology.com, we strive to put out the best content for your viewing or listening pleasure. Today I was inspired to add a mix of Deep House to the site. I hope that you all enjoy the mix and don’t forget to also checkout other mixes by Dj Dimsa online and please subscribe to his page on youtube. Remember to always BE.at Inspired! Before I became a beat maker and a music producer, I was a music enthusiast first. Growing up in a Bronx apartment with 4 siblings, a mother and a father that constantly played music a high volumes on the weekend. I can remember the feeling that I got when I listened to certain songs that my father would play on his record player, which he forbade us children never to touch. In my apartment, you would be listening to any genre of music and any popular artist or music group. I might come home from school and my father might be playing Jimmy Castor, or maybe Queen, he might even throw on some Frank Sinatra, and then some Kool & The Gang. After my father and mother separated, The loud music came to minimal decrease, but my father left behind his record collection, which I’d sought threw as a young teenager, looking for music to sample on my Casio SK-5 Keyboard. In my teenage years, hip-hop became my passion. I knew that I wanted to be apart of the culture in every way. b-boy, mc, dj, whatever it was, I was ready for it. As I became an adult, my views and opinions when talking about music had changed drastically. I know longer had that same feeling that I’ve felt all my young life. What happened to the feelings? Did radio or video change how I felt about music? Or, was it that I was just tired of artist putting out microwave music? Or was it all of the above? Only in my most recent years has my feelings for music been somewhat restored. I began putting out my own music and promoting it independently and started instrumology.com for music lovers, but mostly for the music producers and aspiring beat makers worldwide. This is how I was able to connect with music producers worldwide that work with talented artist around the world that I might have overlooked if it wasn’t for the internet. THIS STORY BRINGS ME TO the NEXT Producer to shine the spotlight on. His name is Siba Giba, music producer, mc, label owner, and one 3rd member of “Get Open” a rap group based in New York City. Siba Giba has worked with a lot of notable artist and his beat making skills vary from dope to classically dope!!! Siba Giba is our next interviewee and our most recent producer to share the spotlight. Read his entire interview below. Inst: Let the world know who you are and where you’re from? 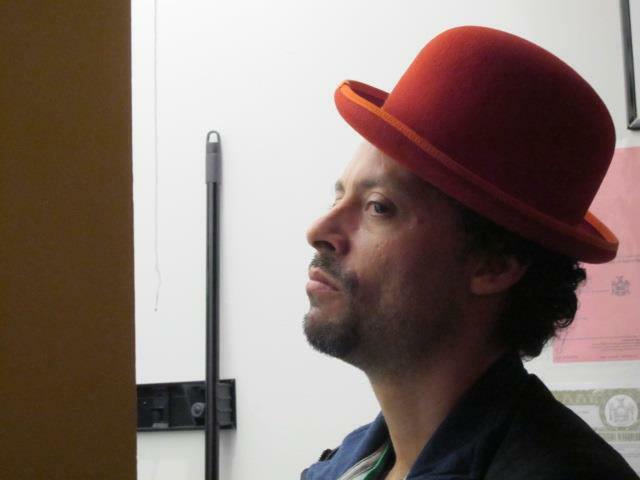 Siba: My name is SibaGiba and I’m originally from France but live in Brooklyn for more than 20 years. Inst: Who have you worked with & how long have been beat making or producing? 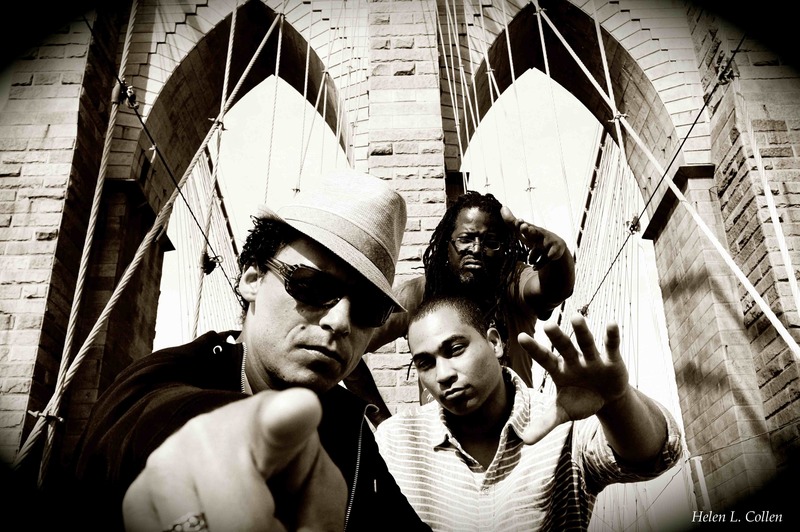 Siba: I’ve worked with Daddy-O (Stetsasonic), Sadat X (Brand Nubians), IAM & Faf LaRage (Marseille), Vinia Mojica, Freestyle Fellowship, Produced 2 tracks for Evelast’s triple platinum & grammy nominated LP, “Whitey Ford Sings The Blues”. And with my Hip-Hop group Get Open. Inst: How did you get started beatmaking-producing? Siba: I started making beats in 1990 back in France. As I’m originally a drummer since the age of 3 years old, so making beats on a drum machine was almost a natural progression. But my first track, I sampled “I Wish” by Stevie Wonder. Inst: Of all of the artist that you’ve worked with, do you have a favorite artist that you work well with? Siba: Yes, I worked with Sadat X on a couple of occasions and an easy cat to work with. Easy going and always prepared. Inst: What equipment and or software are you using? Siba: Protools, Started with Akai s950, then Akai 6000 then moved to MPC 2000, MPC 500 and now MPC Element. Inst: Do you use or prefer sampling over playing live instruments? Siba: I do both. But sampling is my favorite way to create. Inst: Has anybody influenced your style? Siba: The Bomb Squad (P.E. ), Marley Marl, DJ Premier, A Tribe Called Quest. Inst: Do you ever see yourself quitting or retiring from beat making? Siba: I’ll always make beats ‘til I reach the grave. Inst: Do you feel that there is a difference between being a producer and being a beat maker? Siba: Absolutely, the word producer has been misused in Hip-Hop. There is a difference, a producer doesn’t automatically touch or program any machines although he can, a producer advises, suggests and make decisions on sound, musicians to use, style to approach and direction. A beatmaker makes tracks and that’s pretty much it. Inst: Do you have any tips, tricks, or advice that you’d like to share? Siba: I work with kids for the past 4 years and I always tell them be Original, think outside the box, that’s how you create your own sound. You can copy to practice but you must be unique to be noticed. I also advise all beat makers to use sampled drums which are much warmer in sound than any sound bank you can find online or in stores. Sample is the key to Hip-Hop production, less these days but it will always be the basis of the music. That’s what made and makes Hip-Hop unique. Inst: Where can we hear your work? Enjoy and please the talented Emcee’s some love by sharing their videos. BEat Inspired: Easy Mo Bee! The 90’s Hip-Hop Era is considered by most people as the purest or realest time in Hip-Hop History! I too agree, not taking anything away from the 80’s pioneers, but there was nothing like the 90’s sound when it came to Hip-Hop & R&B included. There were a lot of variety, musically in the preference of your choice. For every Biggie fan, there was a Busta Rhymes fan, for every Busta Rhymes fan, there was an L.L. Cool J fan, or a Wu-Tang Clan fan, or A Tribe Called Quest fan, or a Tupac fan, or a fan of all mentioned, and so on and so on. A lot of classic albums were made during the 90’s era, and a lot of memorable hits were made by some of the best producers in the game. Easy Mo Bee was one the Hit Producers leading the way during that time. 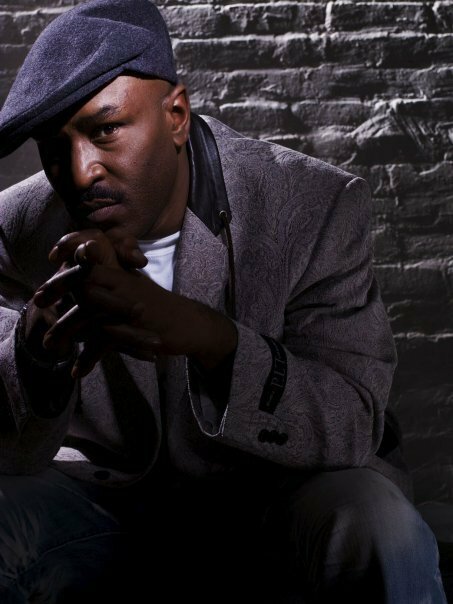 Easy Mo Bee worked with both Tupac & Biggie as well as Miles Davis, Lost Boyz, L.L Cool J, Craig Mack, Busta Rhymes and the list keeps getting longer. I have posted two video’s below of Easy Mo Bee breaking down his hit records, vinyl collection, life, and the current state of hip-hop. Remember to always BEat Inspired.